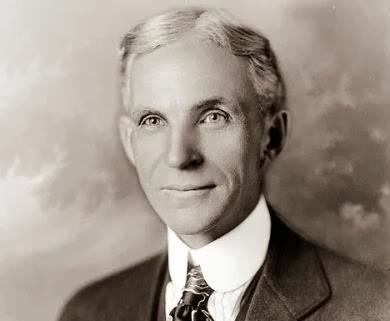 Entrepreneur extraordinaire Henry Ford, founder of the Ford Motor Company, was prone to ingenious ideas and wasn't shy to drive them forward. Ford had a tremendous ability to think out of the box and to turn his dreams into reality. He's sterling legacy was however marred by his unwavering belief in an absurdly large scale construction project called Fordlândia, which was destined to fail from the outset. Believing he could transplant American culture and industry into the Brazilian jungle, in 1929 Ford began construction of the town of Fordlândia, located in the Amazon rainforest. The objective was to get closer to the raw materials he required while crippling the rubber barons who controlled these supplies. Ford had negotiated a deal with the Brazilian government granting his newly formed Companhia Industrial do Brasil a concession of 10,000 km² of land, in exchange for a 9% interest in the profits generated. Fordlândia was designed to be a beacon of Prohibition-era American culture, a Disneyland of sorts, with factories shaping the landscape. What Ford did not anticipate was the malaria-carrying mosquitoes, hot weather and hostility, between American and Brazilian workers. Not employing the services of an expert botanist proved to be the project's biggest failing. The topsoil, exposed by aggressive land clearance quickly disappeared, leaving overcrowded rubber saplings to starve and die in impossibly poor soil. They also became susceptible to fungal infestation. Ford forbade alcohol, women and tobacco within the town, including inside the workers' own homes. The inhabitants circumvented this prohibition by paddling out to merchant riverboats moored beyond town jurisdiction and a settlement was established five miles upstream on the "Island of Innocence" with bars, nightclubs and brothels. Ford changed tack and relocated downstream to Belterra, where better weather conditions for the growing of rubber existed. By 1945, after the advent of synthetic rubber, the world demand for natural rubber ceased to exist and Ford's investment opportunity dried up virtually overnight, without ever having produced for Ford motor-vehicle tyres. Today, Fordlândia is a spooky, American-style mirror world decaying in the jungle.